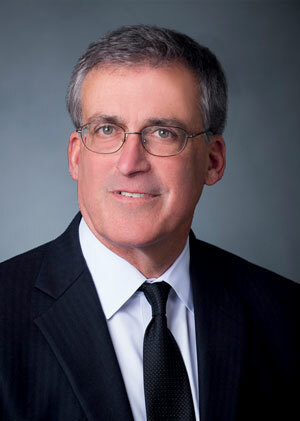 Louis J. Colagreco, Jr., leads the law firm of Riley Riper Hollin & Colagreco as its president and as the chair of its Land Use Practice. Based in the firm’s Exton office, Lou expertly guides clients in obtaining approvals for residential, retail, industrial and office space development across the southeastern Pennsylvania region. Many of the most prominent developers in the nation and region have turned to Lou for counsel in development entitlement matters. As one of the region’s most prominent attorneys in the area of brownfield redevelopment, he also helps developers navigate the numerous environmental and permitting issues associated with these types of projects. Since joining Riley Riper in 1985, Lou has been instrumental in helping clients construct thousands of residential units to meet the needs of the region’s growing population and build millions of square feet of commercial space for stores, offices and industries. He represents clients in both state and federal courts, as well as before local, state and federal regulatory and administrative bodies. Lou’s experience in handling complex as well as controversial projects is invaluable, and he takes a proactive approach in addressing and resolving third-party opposition to his clients’ plans. A strong and effective advocate for his clients, Lou has successfully convinced Pennsylvania state legislators to amend laws impacting development and property rights. His knowledge of numerous government lending and grant programs is also a tremendous benefit for clients who seek funding. Throughout each project, Lou is committed to working closely with clients and obtaining feedback that reflects their changing goals and objectives. This dedication often results in projects coming in ahead of schedule and below budget. Lou holds both a Juris Doctor and a Bachelor of Arts from Temple University. He frequently lectures to industry groups on current development issues and provides insight and updates on land use legislation in Pennsylvania.